Walk-in public tours feature CMA current exhibitions, and highlights from CMA’s permanent collection. Tours leave from the Museum Lobby. Check the calendar for themed topics. Free with admission. When: Thursdays at 6:30 PM, Fridays at 12:00 PM, Saturdays at 12:00 PM, and Sundays at 1:00 PM. Guided adult group tours of our permanent collections and special exhibitions can be arranged for groups of ten adults or more. We also provide tours for people with disabilities. Tours are 50 minutes in length. The cost is $5 per person plus the price of admission. Arrangements must be made six weeks in advance. Please call 614.629.0342 to book your tour or for more information. Use your cell phone to learn more about works of art, artists, and more. With this interactive, user-friendly tool, visitors enhance their museum experiences by using their cell phone to learn more about the works they are seeing and the artists who created them. With Guide by Cell, museum visitors dial a phone number and then select the code that appears next to the artwork to learn more about the piece. 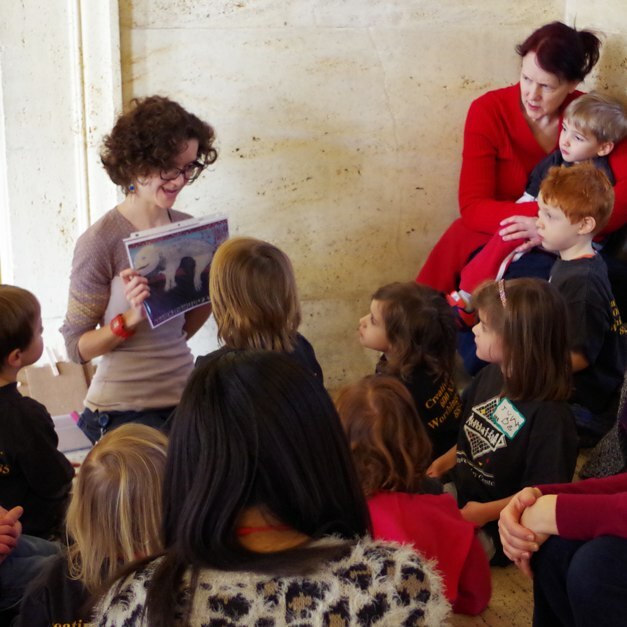 A wide array of tours is available for preK-12 student audiences. Tours last 50 minutes. There is a minimum of 10 students and a maximum of 60 students per 50-minute tour. Please see our current list of available tours. Sparking Imaginations is a tour designed for people with Alzheimer’s disease or other dementia and their caregivers. This hour-long program provides an expressive outlet and a forum for dialogue. This special program is made possible through a partnership with the Alzheimer’s Association of Central Ohio and AWARE, the Alzheimer’s Women’s Association to Reach and Engage. To guarantee a place on the tour, please register by calling 614.629.0359. Group tours are also available. When: Typically held the last Tuesday of the month at 1:00 PM. For more information or to schedule a tour call 614.629.0342. See ten striking, contemporary works of art on display in public spaces at the Franklin County Courthouse and Dorian Commons. Download and print our Franklin County Courthouse Self-Guided Tour sheet for details and Guide-By-Cell information.